One of the most frequently asked questions we receive at Top Knobs is “can I use different knobs and pulls in the same kitchen and have it look OK?” The answer is an astounding yes! 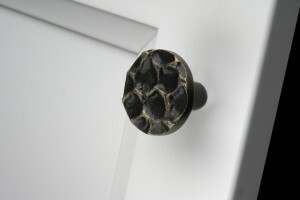 Mixing and matching is exactly the reason why Top Knobs products are organized into collections. Within a collection you can mix and match knobs and pulls of various shapes and designs and still get a unified style in your kitchen. For example, from the Aspen II Collection you can use one Aspen II pull design on cabinets and another Aspen II pull design on drawers. Use the same length or different lengths, or use the same finish or a different finish, and still have a unified look and style in your kitchen. Switching out cabinet hardware is a quick and easy way to change the look of a kitchen. In fact, it is a popular home improvement projects for homeowners. Unfortunately, today’s larger hardware designs do not match the screw holes on older cabinets, making it more difficult to find new cabinet hardware that will integrate in the old cabinetry. Most kitchens made 15 to 20 years ago feature 3” center-to-center measurement between screw holes. 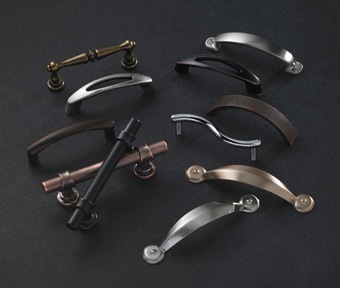 Plus, Top Knobs 3” Pulls are available in an assortment of finishes to match any décor, including: Tuscan Bronze, Antique Copper, Brushed Satin Nickel, Polished Nickel, Polished Chrome, Brushed Bronze, Patina Rouge, Oil Rubbed Bronze, German Bronze, Antique Pewter and Flat Black. To view product information about the Top Knobs 3” Pulls, click to the Products section of TopKnobs.com. There you can sort by product type, size, color, etc, and get detailed product information. 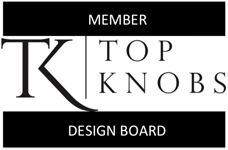 You can also order samples of select Top Knobs styles directly from the website. 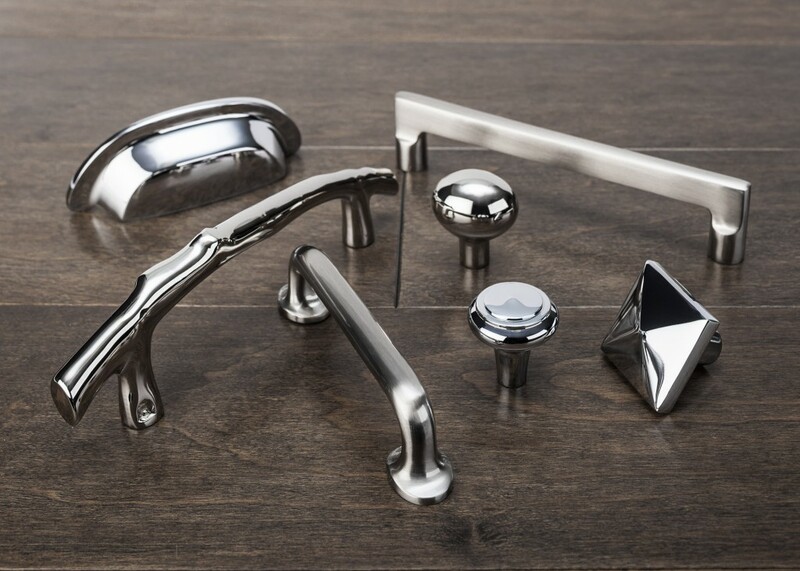 Three tips for choosing cabinet hardware! 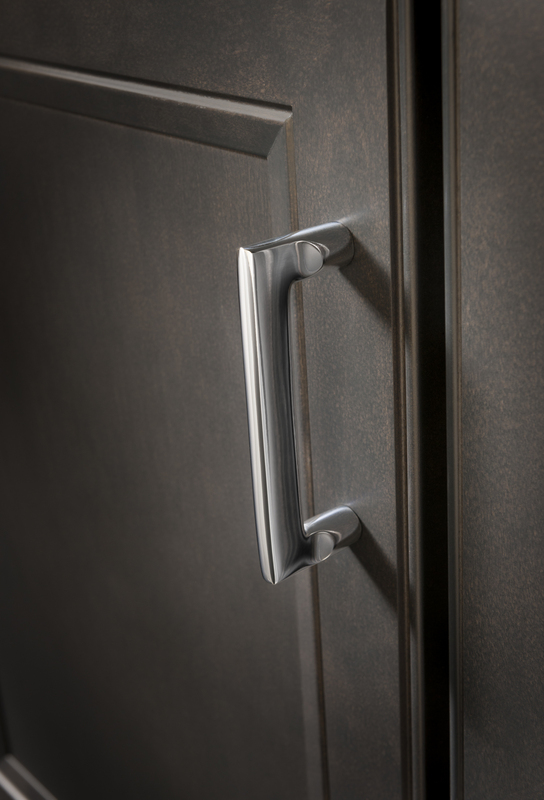 Here are three helpful tips on how to choose cabinet hardware! If your cabinets have hinges that show from the outside, you will probably want to select knobs and pulls that match the color and style of the hinges. It’s also possible that your hinges have tarnished over time. Many of our knobs are available in finishes that may match these tarnished hinges. Or you can replace the hinges as well (hinges are usually available at hardware stores – take one of yours into the store to get an exact match on the size). If you are replacing a pull handle with a 3 inch center-to-center measurement between the screw holes, you will probably want to select new handles that are also 3 inch center-to-center (not the overall length of the pull -measure from screw hole to screw hole). If you have cabinet doors that open from the center, with the knobs from each cabinet right next to the other, measure the distance between the knobs. If you choose too large a knob, they may either touch or be very close together, which may not be the look you want.